King is a long athletic and skilled wing with a very smooth game. He can handle, pass and shoot with accuracy from a variety of areas on the floor. He excels on the break by running the floor and making acrobatic moves around the rim. He uses his length well to shoot deep jumpers over smaller defenders with ease. King has the ability to get into a groove and hit two or three jumpers in a row. He has the length and athletic ability to be a capable multiple position defender as well. 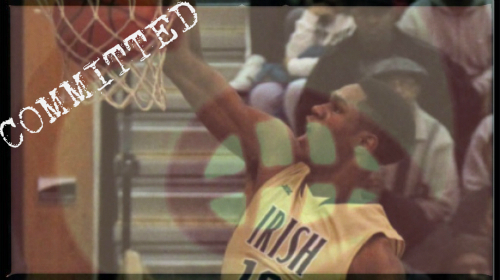 -It’s finally official and VJ is a Louisville Cardinal. This was a very important recruit for Coach Pitino and his staff to hang on to. This kid will have a huge impact on the program and on recruiting down the road. -6/12/15 The Louisville staff landed a great one when King committed to the Cardinals today. This kid will have an immediate impact when he arrives on campus. Future looks bright. -5/23/15 By all accounts King’s visit to the Louisville campus went great and both he and his family had a great time. -4/27/15 I had a chance to check out King this past weekend at EYBL in Lexington. He is a very nice player and was making some very nice plays. He has a great looking jump shot and can handle the ball very well for his size. His skill set makes him very hard to guard. Talk about a stat stuffer in the Friday session I watched he had 22 points, 7 rebounds and 2 blocked shots. He is also a very crafty defender. During the second session on Saturday night Coach Balado and Coach Padgett were there scouting out King for Louisville. He will be taking his official visit to campus on May 19th. King had another very impressive performance again at this session scoring 18 points while showcasing his multidimensional game. He has growing to do and will need to add some bulk to his frame. Once he does watch out. This kid is an elite player and I’m glad the Cardinals staff is paying close attention. -2/6/15 Paul VI (VA) F VJ King scores 26 PTS in a 50-31 win over Bishop O’Conell. Louisville assistant Kenny Johnson was in the house. 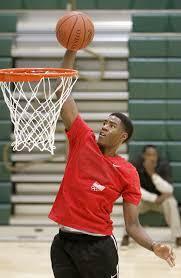 -4/30/14 Per Alex Kline @RecruitScoop King received a Louisville offer tonight. -Located just south of the city of Louisville Bullitt County is included in the Louisville/Jefferson County, KY-IN Metropolitan Area, commonly known as Kentuckiana. 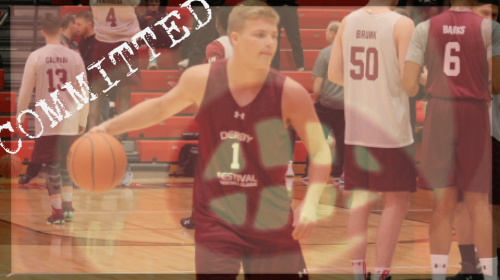 Tyler Sharpe a 6-1 guard played for Bullitt East High School. He has several scholarship offers, including Pikeville, and Kentucky State, but like many kids in the area he grew up a Louisville Cardinal fan. He could have chosen to go to one of these other schools but when he was offered the coveted preferred walk-on spot at the University of Louisville he jumped at the opportunity. Watching players like Elisha Justice, Tim Henderson, and David Levitch have success in this walk-on spot over the last six years was all the motivation Tyler needed. Watching Tyler Sharpe compete in the Derby Basketball Classic events over the last three days I can tell you that he is a very humble young man who is a decent athlete with surprising leaping ability. He had an off shooting night in the Classic but he has a very nice jump shot. This young man has spent his life dreaming of playing in front of the Louisville crowd and in the Derby Basketball Classic he got to realize some of that dream.